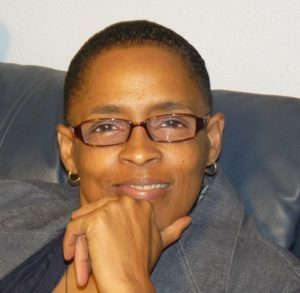 Psychotherapy » Dianna L. Grayer, Ph.D., M.F.T. I’m excited that you have landed here and hope that I can offer you some inspiration as you explore my website. I am passionate about the work I do to help my clients move and improve their lives. Imagine a plant blocked from the sun and then all the blocks are removed. Now the plant is free and exposed and able to blossom into a beautiful flower. This is the process of therapy, removing the blocks that get in the way of you becoming who you are destined to become, and your happiness. I want to help you find your true self so that you can be fully present in your life and meet your goals and dreams. I will be actively involved in your process by helping you connect somatically with yourself, learn creative ways for expression, remove obstacles, face your fears, grieve, find your voice and confidence, and learn self-mothering skills to enrich your life and support you on your journey. My compassionate, direct, and humorous way of relating will embrace and support you. I have been in private practice since 1997. I earned my Ph.D from Meridian University in Petaluma where I am proud to say I am now a faculty member. I am experienced in working with individuals, couples, and families who are dealing with issues around childhood maternal wounding, race, LGBTQI, foster care and adoption, parenting, relationship discord, engaging conflict, depression, anxiety, self-esteem, and/or grief. Together we can approach any issue that prevents you from meeting your full potential. The process is truly a soul-saving experience. When you nourish your soul, you become awakened, empowered, and you able to live more in line with your authentic self. I will help you Connect, Express, and Soar to new heights. Modality: Many experientials to help you the ways you need and desire. Copyright © 2010 Dianna L. Grayer, Ph.D., M.F.T.. Powered by WordPress and A Dream to Host theme by Art of Blog.